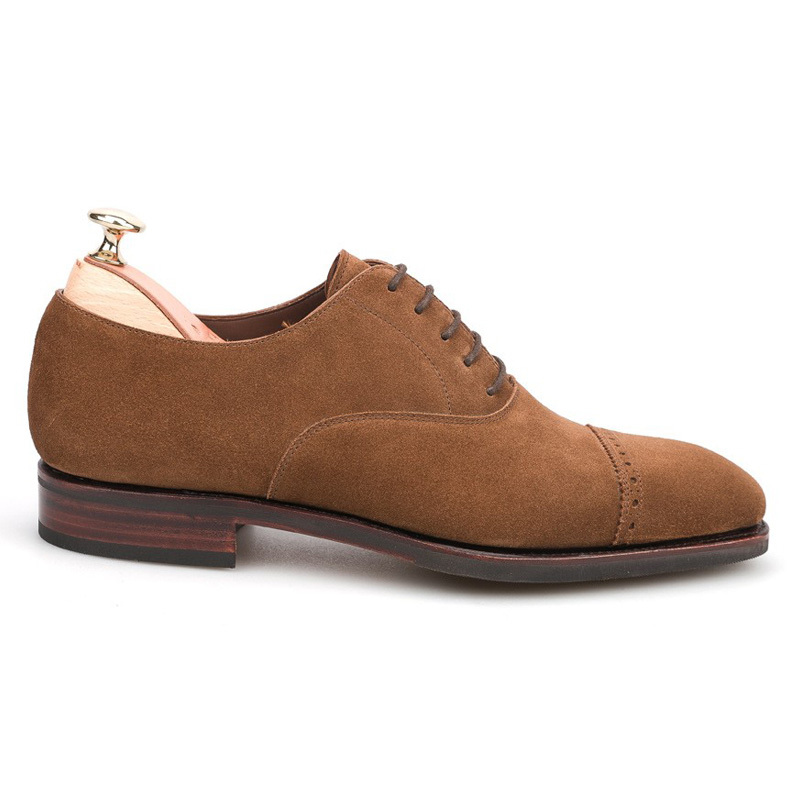 Carmina's dress cap toe oxfords with punch toe detailing in snuff suede. 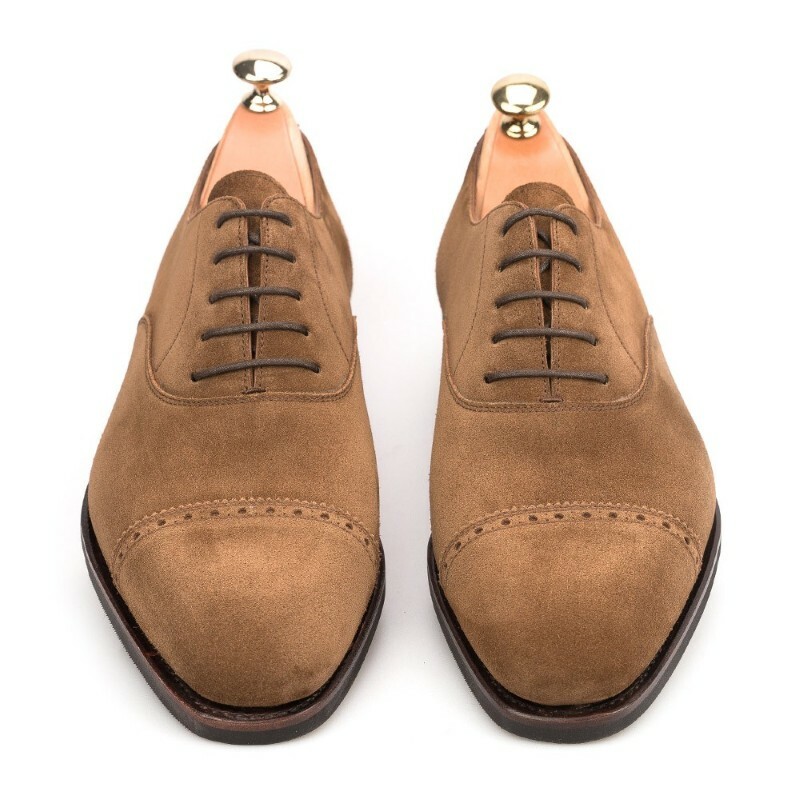 Featuring a Tomir rubber sole. Goodyear welt construction makes for asolid, durable, and comfortable shoe. Also features leather lining. Style made on Rain last. Semi-squared shape last with wide fitting. 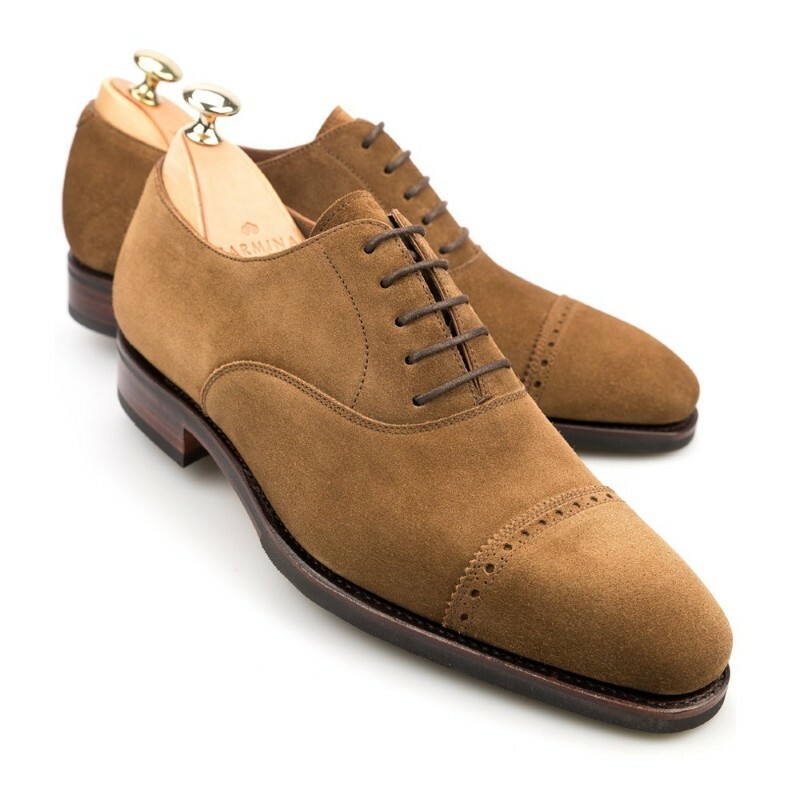 Carmina shoe trees sold separately. Contact us for size availability. Please allow 2-3 business days for Carmina orders to be processed before shipping.